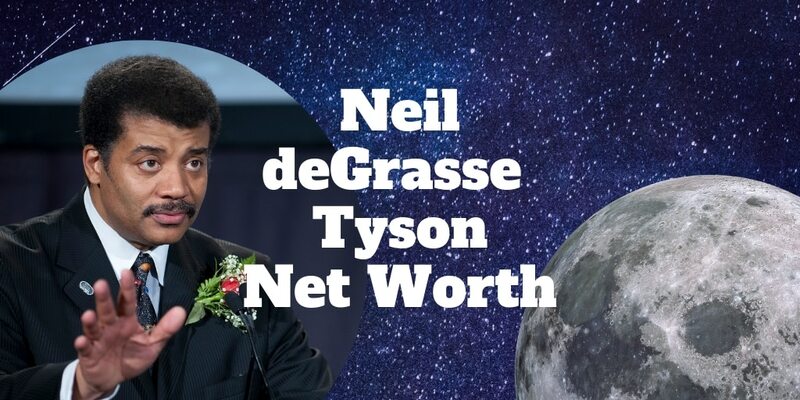 Home › Celebrity › Neil deGrasse Tyson Net Worth – $4,000,000? Neil deGrasse Tyson Net Worth – $4,000,000? He is no ordinary celebrity and Neil deGrasse Tyson’s net worth is proof of that. Hailing from the United States, he is an astrophysicist who has an uncanny ability to talk about and communicate complex scientific matters in a way that the average person can understand. He has a storied professional career that includes serving as the director of the Hayden Planetarium in New York City since 1998. This facility is part of the American Museum of Natural History, which is where he founded the Department of Astrophysics in 1997 and has served as a research associate since 2003. He has a passion for writing and has become a prolific author. Many of his books have become best-sellers, which has boosted the Neil deGrasse net worth figure substantially, and has also brought him fame. He is a sought-after actor and media host who has appeared on talk shows, documentaries, and various television programs over the years. All that notwithstanding, you might still be asking: Who is this guy, and how has his net worth come to a staggering $4 million? Part of what makes Neil deGrasse Tyson so successful is his ability to make a difficult subject like astrophysics sound fun and understandable. Perhaps that ability is best reflected in his published books that have all contributed to his substantial net worth. This book tackles the difficult concepts of space and time. Tyson aims to explain to his readers how each person alive fits within the scope of the universe and how the universe ends up fitting within us as well. These are difficult questions, but one reason this book has sold so many copies is because Tyson is able to answer each one in plain English. The book’s main objective is to break down the Universe, and the Earth, in a clear and understandable way. Each chapter is concise so that busy people can read snippets quickly. Accessory to War explores the unique relationship between science and the military power that countries exert around the world. Tyson explains how the principles of astrophysics are at play when generals plan out war strategies. Again, the book is written in easy-to-understand English that makes difficult concepts accessible to the average reader. While most people have heard of black holes, few really understand them. Tyson tackles this complex area of physics by relating physics and the cosmos to real life. Many people view the cosmos as a mystery that they cannot understand, but Tyson attempts to buck this trend by making physics fun and relevant by injecting humor and passion into his narrative. “The good thing about science is that it’s true whether or not you believe in it. The universe is as vast as it is mysterious. In Welcome to the Universe, Tyson joins up with three other astrophysicists to tackle matters of the universe, including everything from planets to entire galaxies. Readers will discover the function of black holes and wormholes, and they will learn about the possibility of time travel. This book does not read like a boring textbook for some university course – Tyson narrates the story in an entertaining and engaging way. In this book, Tyson teams up with National Geographic to create an illustrated companion to one of its shows about space. He talks about what it means to be a human and what our role is in the universe. The photos in the book are colorful and enhance the reader’s understanding of the concepts he shares. StarTalk appeals to the visual type of learner who may not otherwise be inclined to spend time reading an entire book of text related to astrophysics. Although it is a fact-filled book, the work is jam-packed with humorous moments that will give readers plenty of chuckles. The success of this book is one of the key reason that the Neil deGrasse Tyson net worth has mushroomed higher. Not only can Tyson make astrophysics exciting for adults, but he has the ability to get youngsters interested too. This book is an abridged version of the original “StarTalk” book, and it is designed specifically for an audience of young readers. 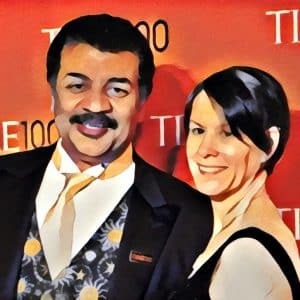 A spinoff StarTalk podcast by Neil deGrasse Tyson began in 2009. It has become globally popular and evolved to draw in the interest of young people as well. The book, StarTalk Young Readers Edition, is a way to help children better understand the mysteries of the universe and to stimulate their interest in astrophysics. The cosmos is 14 billion years in the making. Few people can begin to wrap their heads around such a long timeline, so Tyson tries to simplify the idea in this book. By discussing a mix of concepts related to genealogy, biology, cosmology, and astrophysics, he helps the reader to gain a better understanding of how the universe has evolved over all of this time. Origins: Fourteen Billion Years of Cosmic Evolution contains 32 pages of full-color illustrations to highlight each major topic that he discusses. Many young people are curious about the cosmos, but some have short attention spans. With that in mind, Tyson has written a revised version of his fast-paced book for adults. This one details the mysteries of the universe in bite-size pieces that young readers can easily digest. Pluto has long been one of the more well-known planets in our solar system. Tyson spends time in this book detailing what happened with the recent discovery that led to Pluto’s declassification as a planet. At the same time, he highlights the importance of this celestial body and clearly informs the reader why Pluto is still very much a force to be reckoned with in the solar system. If you have ever noticed that the sky is more difficult to see at night in urban areas than out in the wilderness, you are not alone. Tyson grew up in the Bronx, and he used to go to the roof of his building just so he could escape the lights of the surrounding areas and gaze upon the stars. He became curious about the universe and our role in it, and he uses this book as a way to inspire others to develop that same type of inquisitiveness about our very existence. “Star Trek” inspired us to consider the final frontier, and Tyson aims to inspire the same curiosity in Space Chronicles: Facing the Ultimate Frontier. He details the space program that has ushered in a whole new era of cosmic understanding. His purpose in writing Space Chronicles is to inform the public about the importance of studying space and how deepening our knowledge of the ultimate frontier will help us better understand the roots of our own existence. If you enjoy looking through a telescope and trying to discover new stars and planets, then this book is for you. Tyson uses a bit of humor by introducing a fictional character as the narrator of this informative and enlightening book about the galaxies. This text is unique in that it appeals to both children and adults alike. He even introduces a visitor from an outer galaxy just to hammer home many of his points throughout the narrative. Over the years, Tyson has also made numerous appearances in the media and on television. These appearances have contributed significantly to his net worth. Some of the more notable appearances are listed below. The documentary television series was a follow-up to the 1980 series “Cosmos: A Personal Voyage,” which was hosted by Carl Sagan. Tyson’s “Cosmos” ran for 13 episodes and appeared on both Fox and the National Geographic Channel. Not only was Tyson a regular guest star on “The Colbert Report,” but Stephen Colbert himself actually refers to Tyson in his own comic book. His appearances on this program were designed to show that scientists are real people, too. Bill Maher is the host of his own late-night comedy show that focuses on current events and other topics. Tyson has been a featured guest on several occasions. As one of the most popular comedy television shows in the last decade, “The Big Bang Theory” has amassed a large audience that appreciates its “geeky” humor. This show makes light of scientific matters while highlighting the important role that science plays in our lives. Tyson reportedly considers it a great honor to have appeared in an episode. Tyson has also been the subject of several comic books. The most notable is “Action Comics #14.” This was published in November 2013, and it features Tyson working to find out if Krypton orbits a red dwarf. Tyson attributes much of his success to his wife and two children. Alice Young is his wife, and they live together in Lower Manhattan. They met at the University of Texas at Austin, where they were both studying physics, and eventually married in 1988. Their two children are named Miranda and Travis. Miranda is actually named after the smallest of the five major moons around Uranus. You don’t need your own TV show about the cosmos to build out of this world, Neil deGrasse Tyson net worth amounts. As Tyson’s inspiration, Albert Einstein, once stated the most powerful force in the Universe is compounding and, if you want to build great wealth, applying it to your own nest-egg is a smart move. But how? Billionaire investors, like Warren Buffett and Charlie Munger, have proven that buy-and-hold is a smart strategy. The problem is not everyone can dedicate their lives to reading financial statements and stock picking. Instead, you can rely on Nobel-prize winning investment research that is applied by top robo-advisor like Betterment and Personal Capital. They are aimed at hands-off investors who are keen to grow wealth over time without paying an arm and a leg in fees as you might with traditional human advisors. Or if you prefer to ride the real estate train to a higher Neil deGrasse Tyson net worth level but don’t want the hassle of managing properties and tenants, Fundrise and Rich Uncles are among the best online real estate crowdfunding platforms. Follow him on the Neil deGrasse Tyson Twitter account and updates on his Neil deGrasse Tyson Instagram account. ‹ Dr. Phil Net Worth – Is It Really $500 Million Dollars?